A quickie from Detroit Metro Airport. Mark Blumenthal reported on an interview with Obama campaign manager David Plouffe yesterday at Pollster. 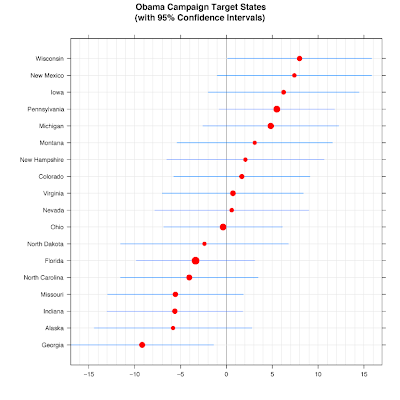 Plouffe discussed the 18 states the Obama campaign sees as their target states, and Mark reported what states those were in his post. 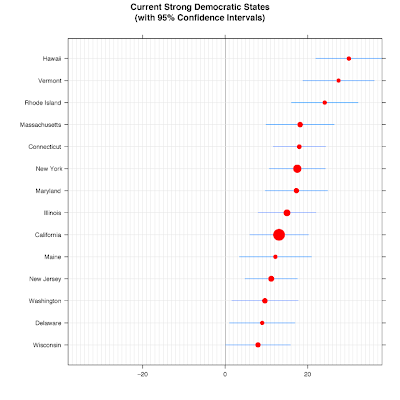 Here we take a quick look at the polling in those states. The chart above is sorted by the Obama minus McCain margin, and shows the 95% confidence interval. 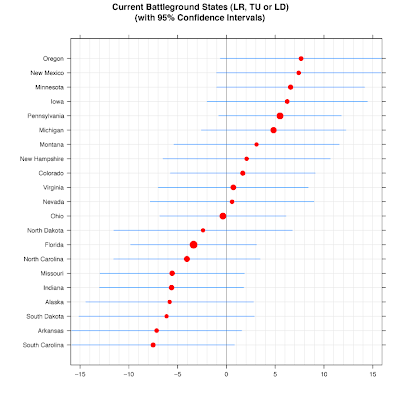 The dot size is proportional to electoral vote. 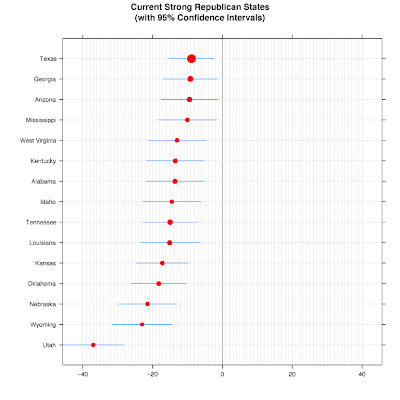 Below I show the status of the states based on our polling categorization of each state. Time to run for the plane.